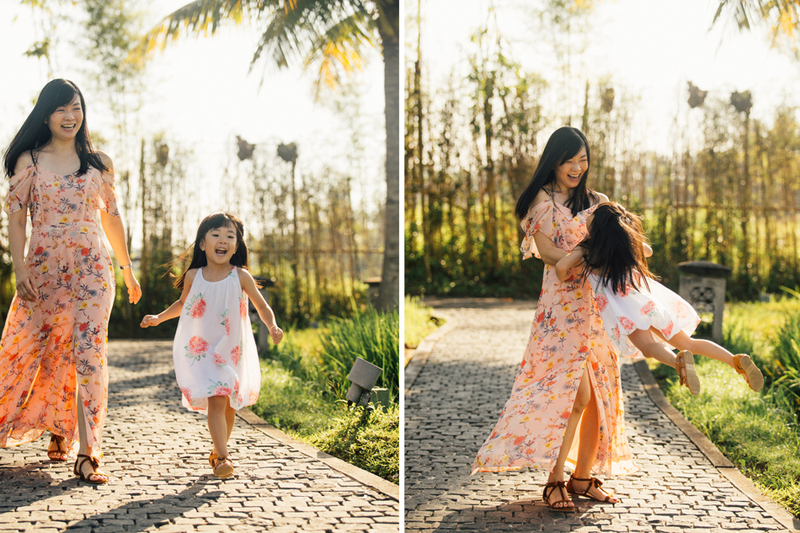 Holiday season had finally arrived. 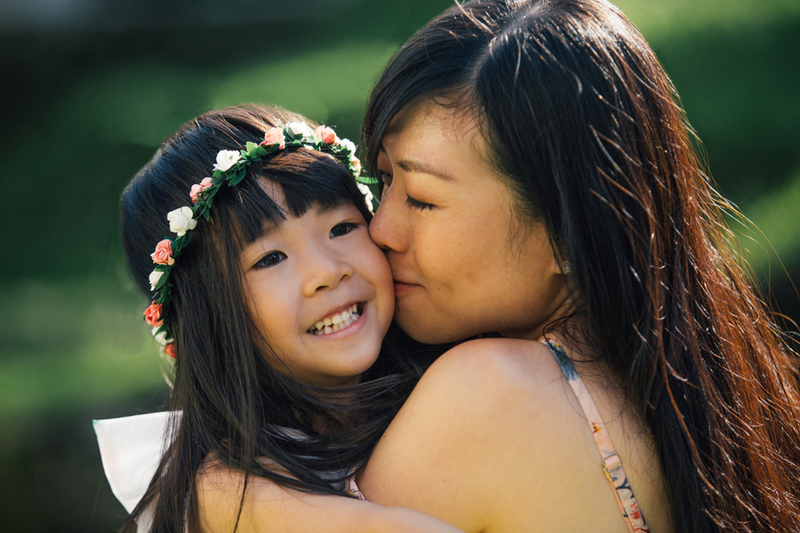 This time school holiday came together with Eid holiday so it was a whole full month of holiday. 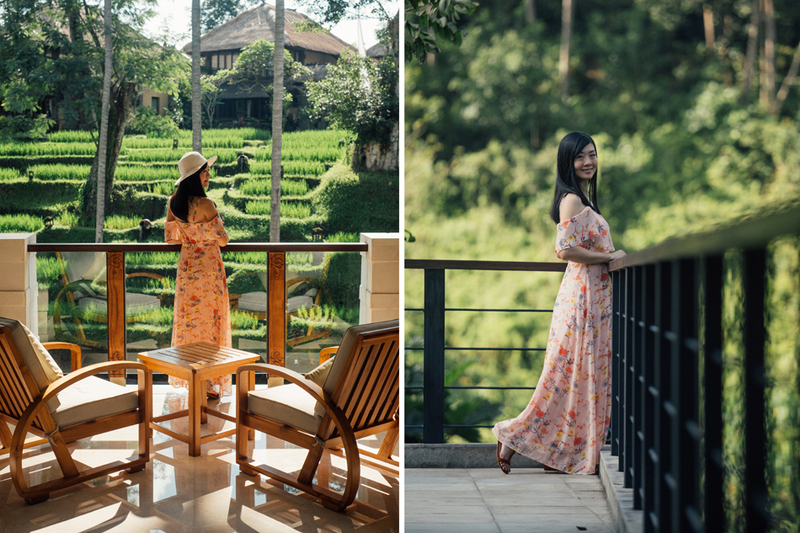 This June I received many requests from Indonesian clients for photo session, but there were also some of Malaysian clients as well. 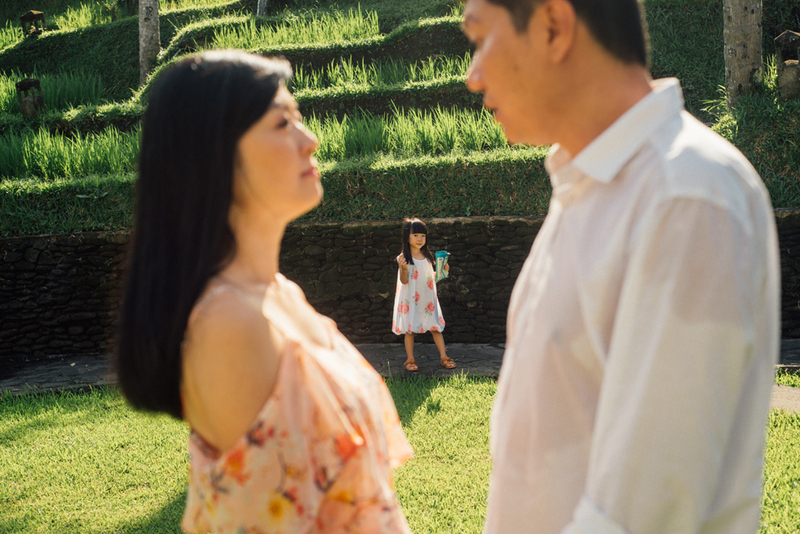 Sia Family came with their beautiful daughter, and she was too shy to be photographed. 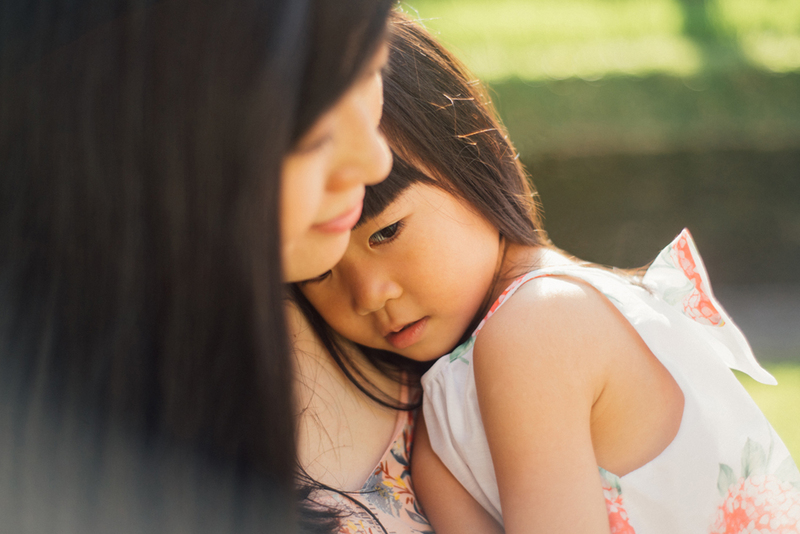 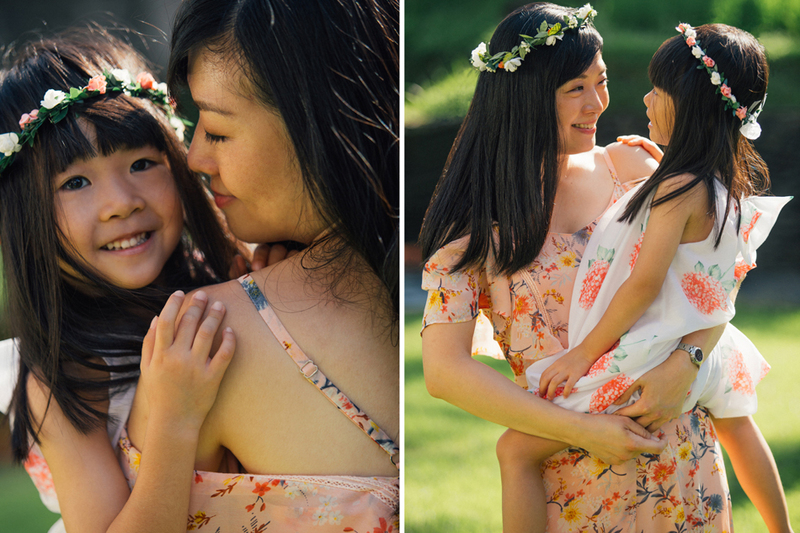 I needed extra approach to make her feel more comfortable for the photo session. 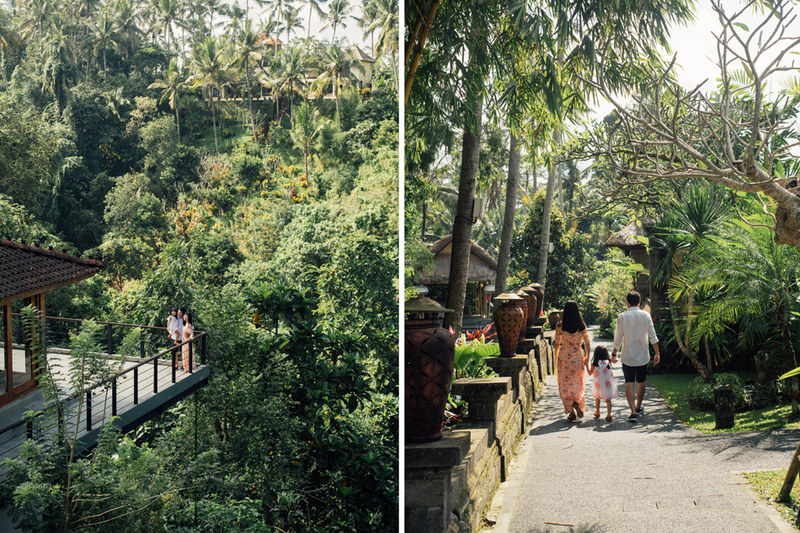 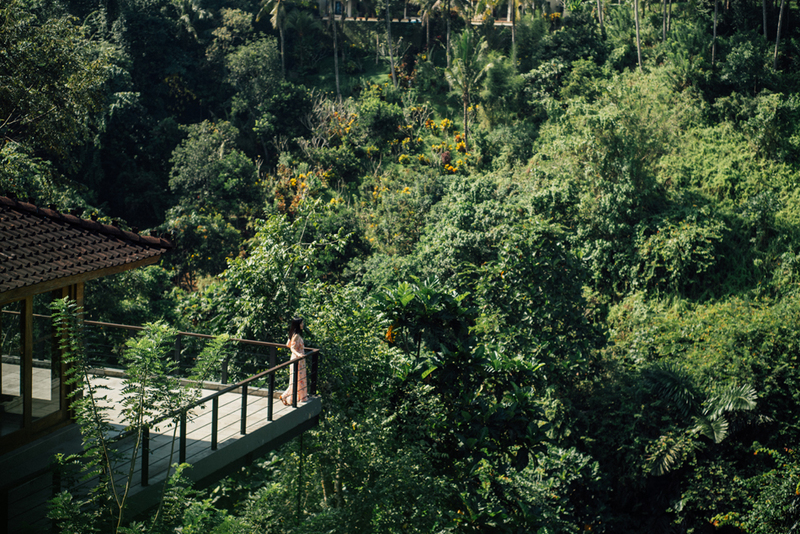 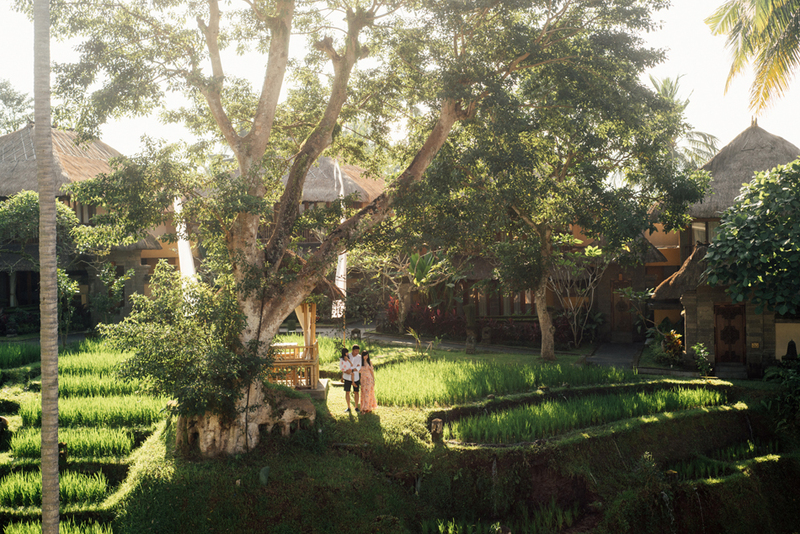 It turned out we spent more time playing around at Kamandalu Hotel Ubud, a very nice, cool, lush green resort. 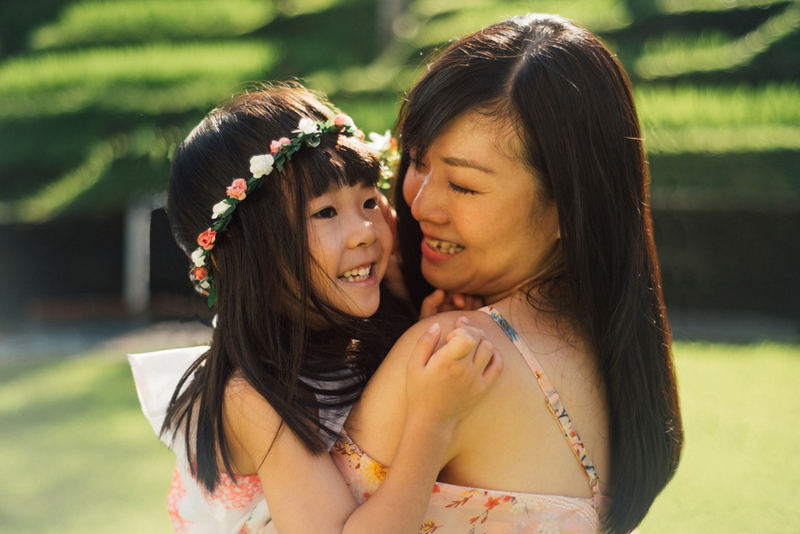 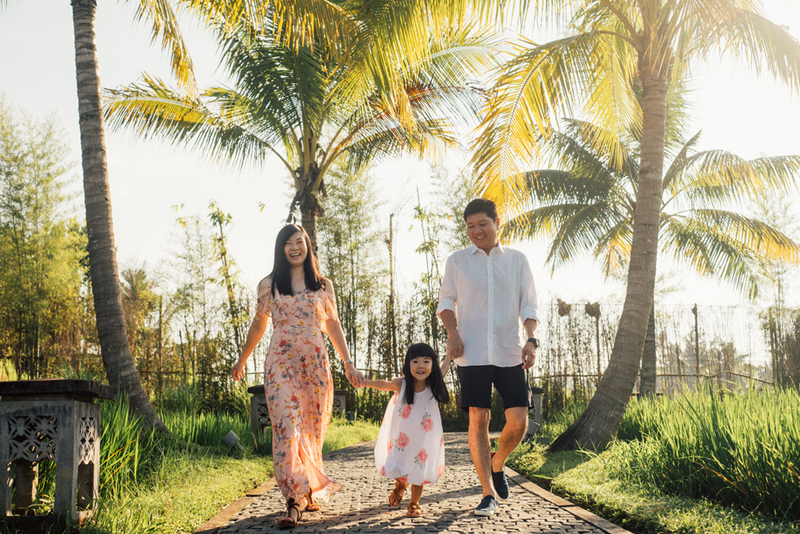 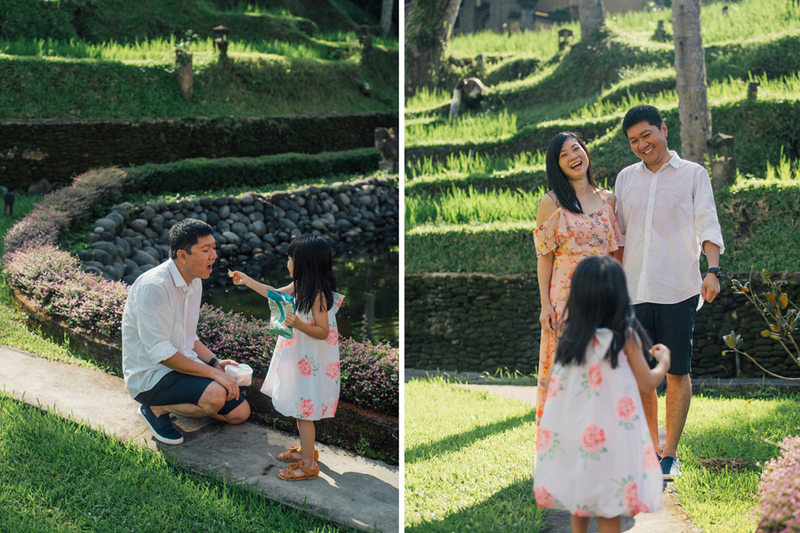 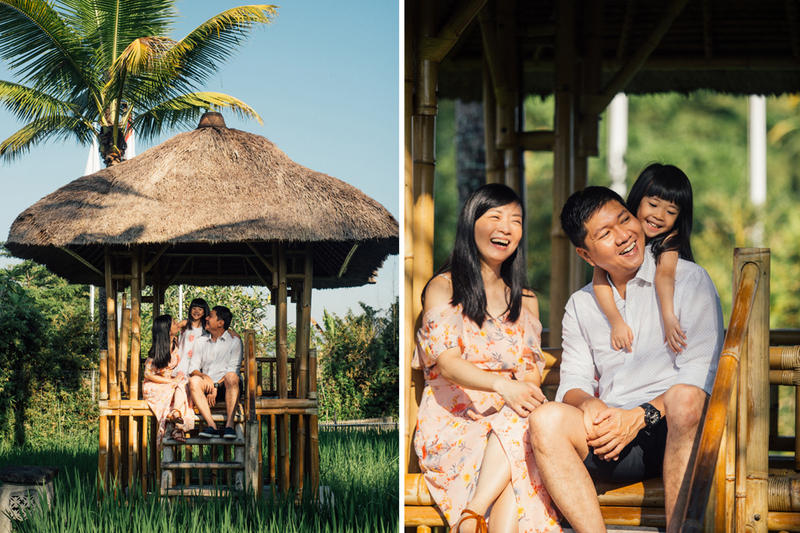 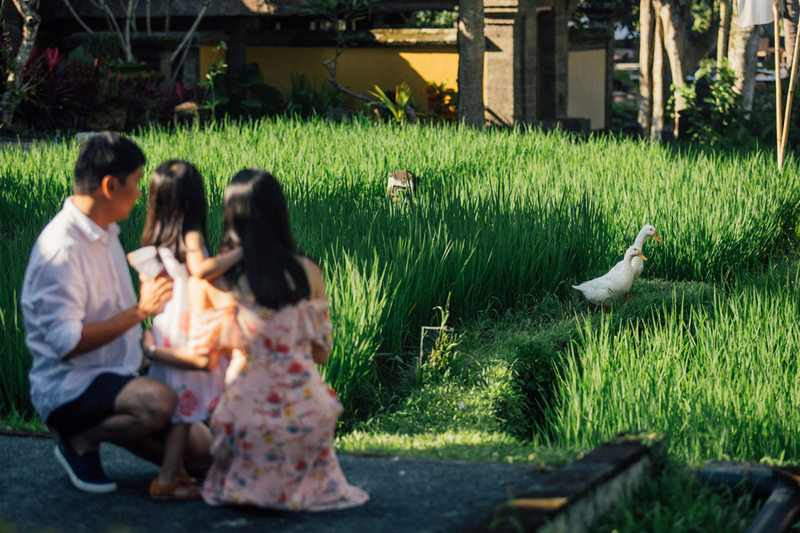 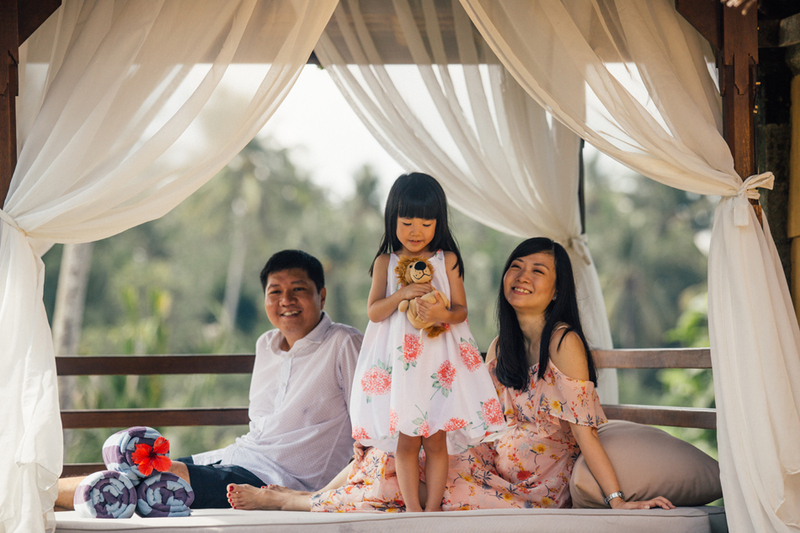 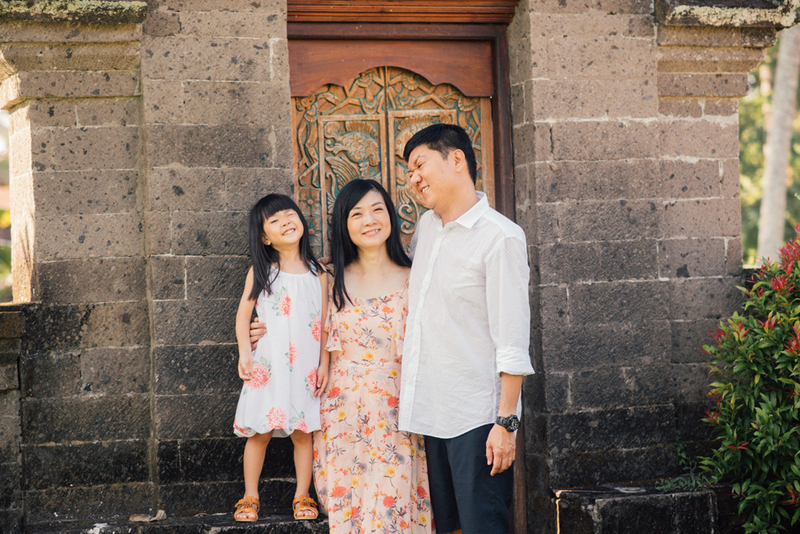 Mrs. Irene and family chose Ubud for their perfect holiday place, they first wished to take the photo session at Tegalalang terrace rice fields, but the harvest season just ended and the fields were dry and still unplanted. 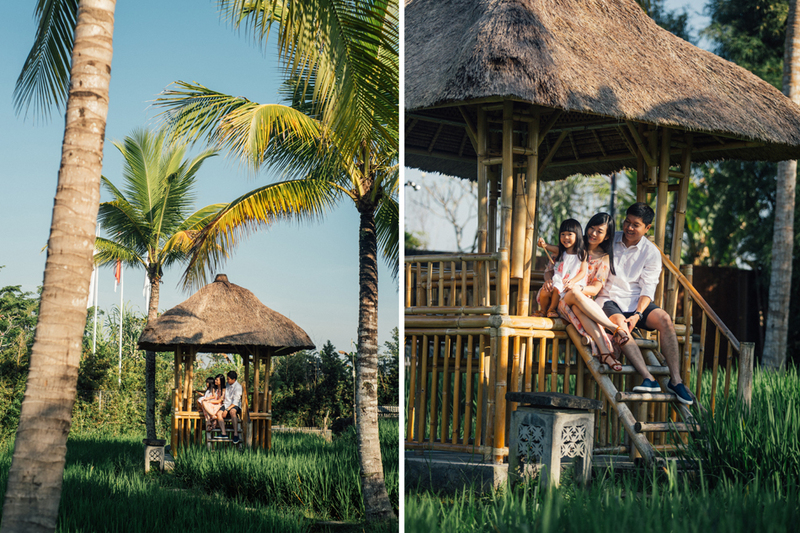 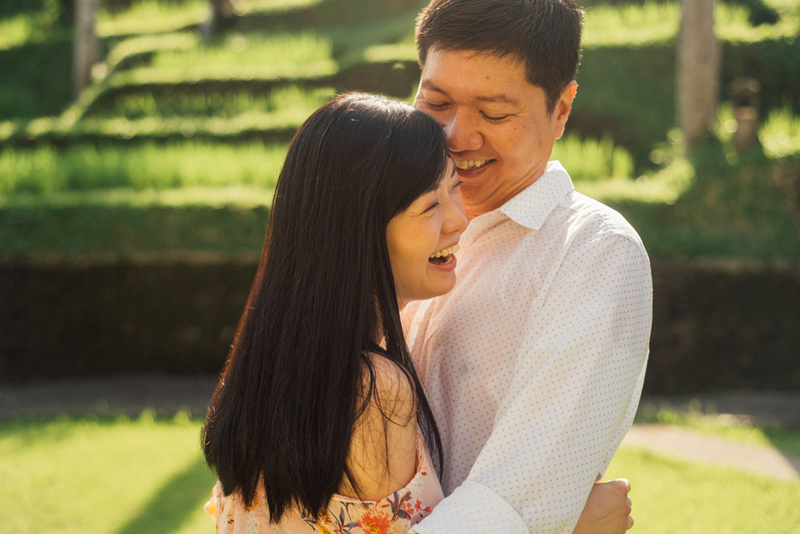 Therefore, we decided to have a morning photo session at resort area since they also had some private rice fields that was just as beautiful as Tegalalang terrace ricefields.